And I let him believe that. Well, the immature and indecisive part. We cleared up the part about me being a lesbian. What was really going on though, was that I didn’t feel like I deserved love. I never felt good enough. I was scared that if I truly opened up to another person and they saw me warts and all, they would leave and I’d be alone and rejected. So, I would always play the upper hand, not letting anyone close, driving men away. Any second that the poor bloke would get a glimpse into my vulnerability, perceived flaws, or dark-side I would send him packing faster than Usain Bolt running the 100m sprint. What’s ironic was that I was so scared of having my heart broken that I never allowed love in. I initiated strategies and put up barriers against my heart being broken yet that’s exactly how I’d end up feeling. Disconnected and lonely. The feelings I was ultimately trying to avoid, when all I really wanted, was to be seen and loved for who I truly was. To feel connection. There was one time I opened my heart to another person, and it shattered into a thousand pieces, the pain of which was too great to bear. So, not only had I confirmed the story I was telling myself – that if a man got to know the real me he’d leave, but I’d be damned if I was letting that happen again. And like that, a vicious cycle was created and years of heartache and insecurity ensued. Now, I know I’m not alone here. This is the game we play. Those of us, desperately craving connection, but being too scared to let anyone past the fortress that surrounds our hearts. We flick through potential partners like a grocery discount catalogue. Picking the items on sale that we don’t actually want, but they’re cheap and will do until something better comes along next week. See, we have these checklists for people to meet and at the first sign of their inability to meet our unrealistic expectations, we chuck them out like month old Chinese food that’s been living in the back of our fridge. We aren’t loyal to people. We don’t really give them a red-hot chance. In the age of internet dating, a quick flick to the right and the next innocent victim, sorry, prospective love interest, is on the scene. We don’t put in the hard yards of accepting the other person and their perceived flaws, let alone our own. We just keep living in denial and moving onto the next opportunity, telling ourselves they weren’t the one. Yet, we’re all just mirrors of each other, what we find defective in one person is what we have not yet accepted in ourselves. Then, what the eff do we do about it? In short, it comes down to self-love. We’re so distracted by wanting to find someone that makes us feel ‘whole’ without doing the work within ourselves first. This constant searching leaves us insecure and longing. 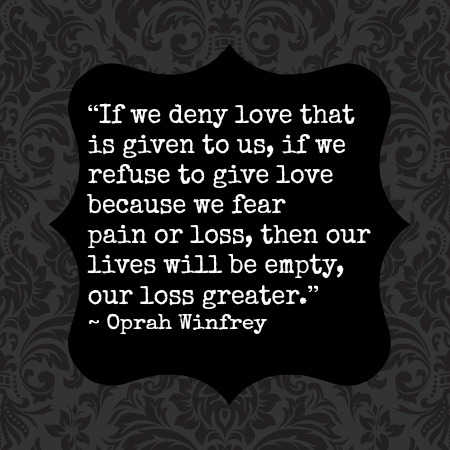 Yet, how can we expect to give and receive love and create meaningful relationships if our own love-cup is empty? The ultimate result – a culture of emotionally stunted humans, craving connection but feeling as though it’s out of reach. That we’re separate. A steady uprise of loneliness. We present ourselves one way but feel so disconnected in another. It’s not that we’re incapable of relationships, it’s that we’re so focussed on the outside world, what others think of us, and what we think we need, that we don’t allow our unique expression to come through. Put other’s needs before our own. But the real clincher is that first we need to accept all the gritty, dirty dishes that lay in the bottom of our personal kitchen sink. We need to love ourselves. No one is perfect, nor should they try or be expected to be. It was only once I accepted that I have flaws just like everyone else, that my perspective started to shift. It didn’t matter if relationships lasted three months or three years, it was about opening up and sharing parts of myself that I wanted to be known for, that I wanted to form connection through. It was as much about accepting the other person in all their mess as it was accepting myself in my own. The thing is, there is no perfect relationship. There is no one person that can satisfy our needs in their entirety. It’s unrealistic. What is realistic though, is to accept that heartbreak may be an option, but the pain of shutting ourselves off from love is far greater. We need to take risks, share ourselves openly, and receive the other person with empathy, love and compassion. It’s then that love overcomes fear and if the relationship ends, so be it, it’s beautiful in the knowing that we’ve allowed ourselves to feel. Allowed ourselves to connect. Allowed ourselves to be vulnerable and seen. Because what’s the point of having a relationship that looks shiny from the outside but lacks any depth. It’s time we expose ourselves...and no I don’t mean buy a brown trench-coat and flash our bits, but expose our inner qualities, our soul, our truth, our fears, our beauty because that’s where real connection takes place. Love is not to be feared. It is eternal, unwavering and free. Love never hurt anyone, but the pain of not allowing it in, sure did.